We have a lot of people use Shareagift to collect funds online for fundraising events which range from sponsored cycles to skydives. If you are looking for something a bit different to do in order to raise money then check out the following 5 weird and wonderful fundraising campaigns for some inspiration. Four years ago the ‘Bare in the Air’ campaign was launched in Canada to raise money for Breast Cancer Research. Four years later and the campaign is still going strong! Each year women have taken to the skies in a naked ziplining event which sees them fly across the forest in barely anything! This event has become a tradition in Peachland, Canada with more and more women flocking to the event each year. This annual event raises money for the Rehabilitation Institute of Kansas City. For the past seven years the bacon-fest has seen people from across America attend this event for all things bacon. 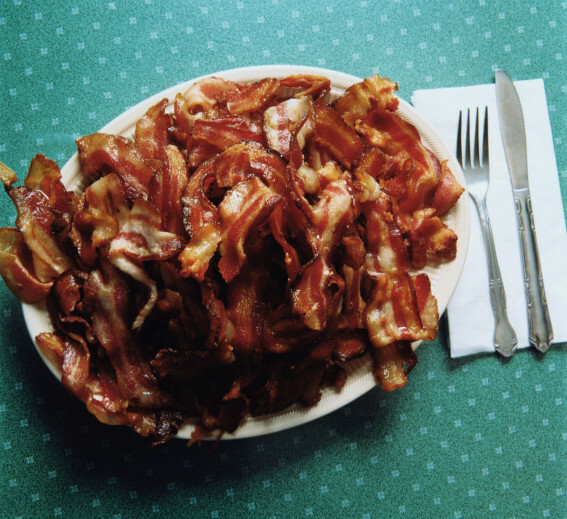 There are a number of bacon themed contests which include the best bacon themed t-shirt, who can eat the most bacon and who can cook the best bacon themed recipe! This fundraising campaign raises money for the Boulder Valley Women’s Health Centre in America and is a fashion show featuring clothing made entirely of condoms. In it’s third year the show tries to creatively promote awareness of sexual and reproductive health. This year the outfits are Hollywood themed and they are even throwing an exclusive VIP pre and after party. Let’s just hope the dresses stay intact! 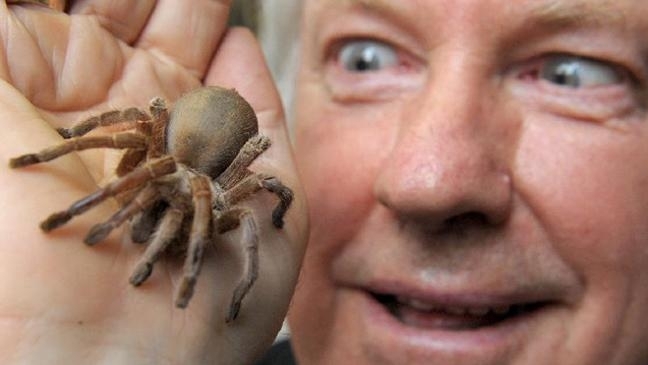 Nick Le Souef decided that he was going to live in a shop window for three weeks with 400 spiders to raise money for a children’s charity in Australia. He was trapped in with redbacks, bird eating spiders, black house spiders and some white tailed spiders to name but a few of the breeds. After spending three weeks in a snake pit and a shark tank he saw this as the next step on his fear factor journey! To raise money for their youth ministry an American church came up with a great prank to help raise some much needed funds. They managed to get hold of 144 plastic flamingos and went around each night placing them all in a garden of a selected church member. In the morning they would turn up at the house and ask for donations and then move on to the next house. 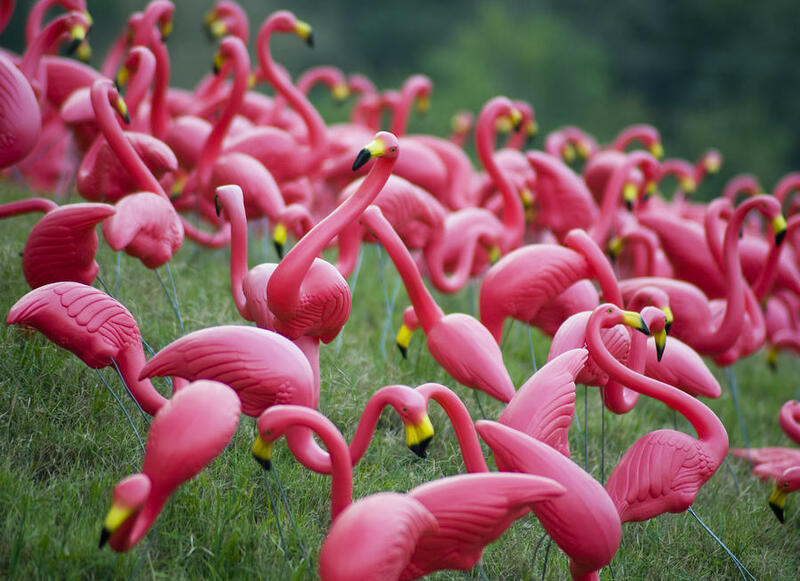 The idea was so popular that when the church had finished pranking its member’s people started making donations to hire the flamingos for the night to decorate their gardens when they were throwing parties or special events! If this has given you a great fundraising idea then head over to Shareagift and start raising money today! We provide an easy to use platform to help you collect money online for anything and everything from fundraising projects to events and group gifts. Next PostTop 5 Breathtaking Pools From Around The World!